Sporting a floral print and sweat-wicking fabric, the Nike Dri-FIT Polo is made to perform on the course. Its modified racerback offers extra coverage so you can easily wear it over a traditional bra. Modified racerback hides traditional bra straps. 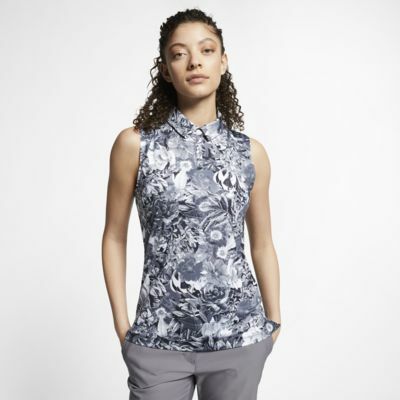 Pearlised button placket adds a sophisticated finish. 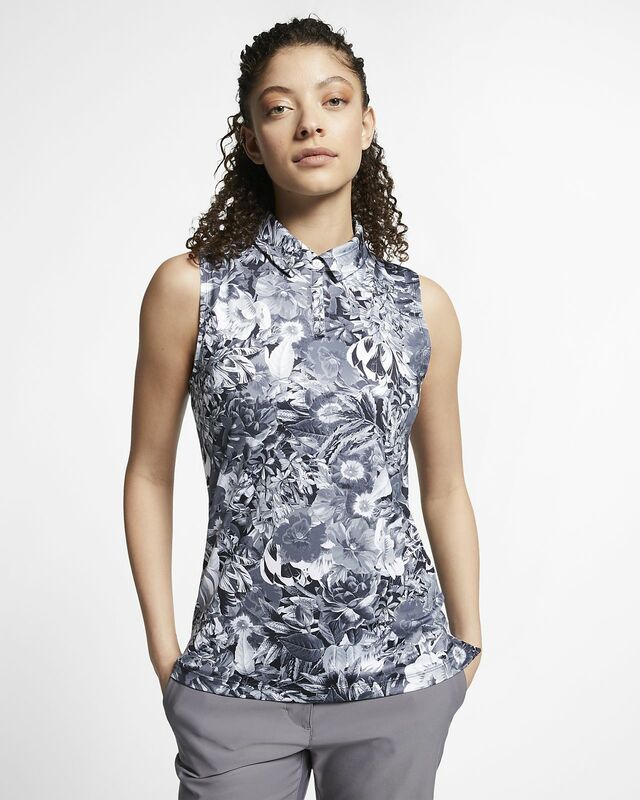 Floral print is inspired by the heritage of the course in Charleston, which was originally home to a nursery.